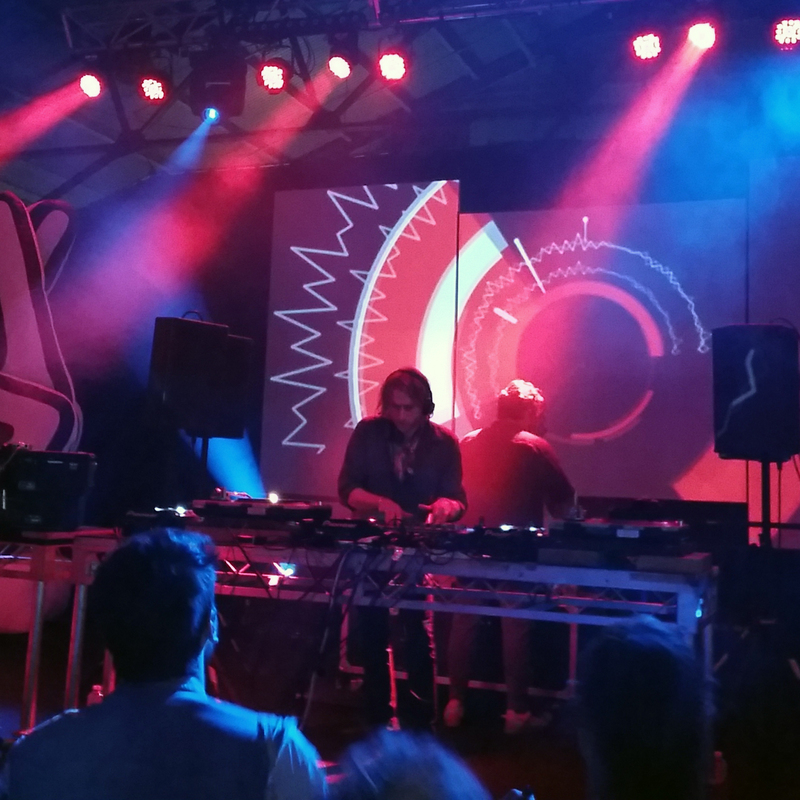 Last week was a busy one for music lovers in the capital of Victoria, because Melbourne Music Week was on. During a whole week 110 music event was on at 40 different locations throughout the city. 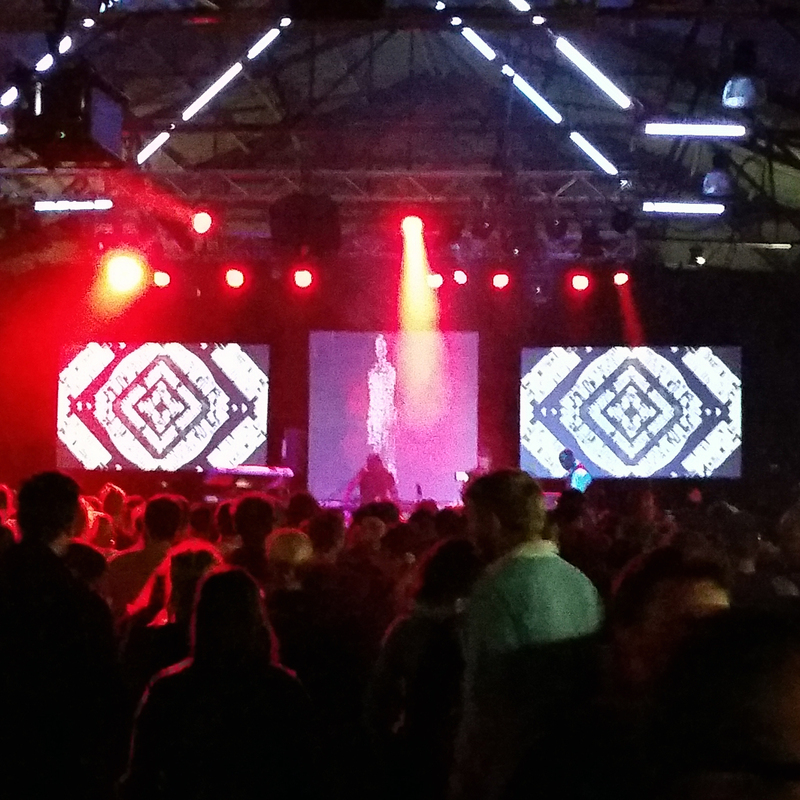 I had the opportunity to check out 3 of the bigger events that were held at Queen Victoria Market. The organisers had turn the F Shed that usually holds a myriad of stalls selling various items during the weekend into a big music event space. Inside the shed they put a big stage, two bars, a food stall and a big dance “floor”. Interior wise it was all kept pretty minimal and simple, black walls but with some decorations of geometrical patterns in white. Three screens for visuals was also put up behind the stage and there was also an outdoor area with another bar and food stall. 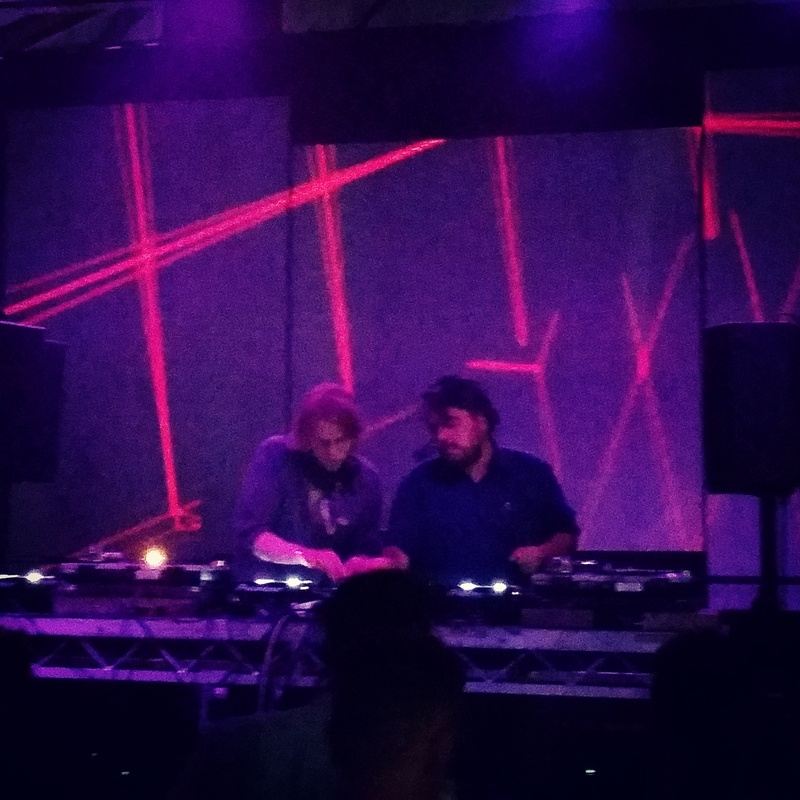 Below I will share my experience of MMW with some of my happy smart phone snaps (please forgive the not-so-great quality). 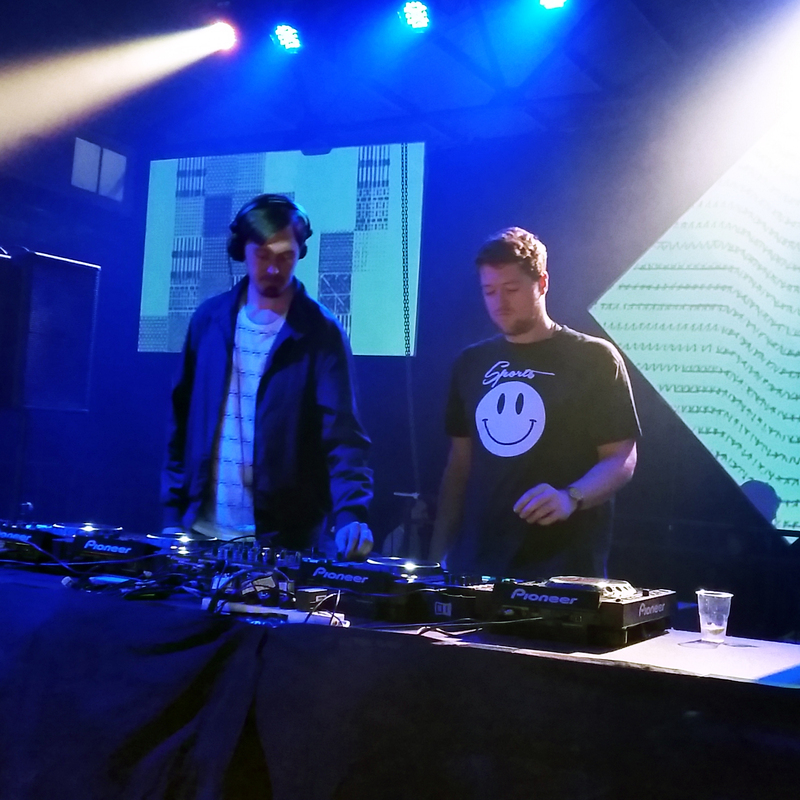 Dusky started the night with a four hour set, warming up the crowd nice and slow with good deep tunes. They made a solid set although it felt like we were all waiting for what was next to come. By the end of their set the audience was all in for a Sunday night adventure. 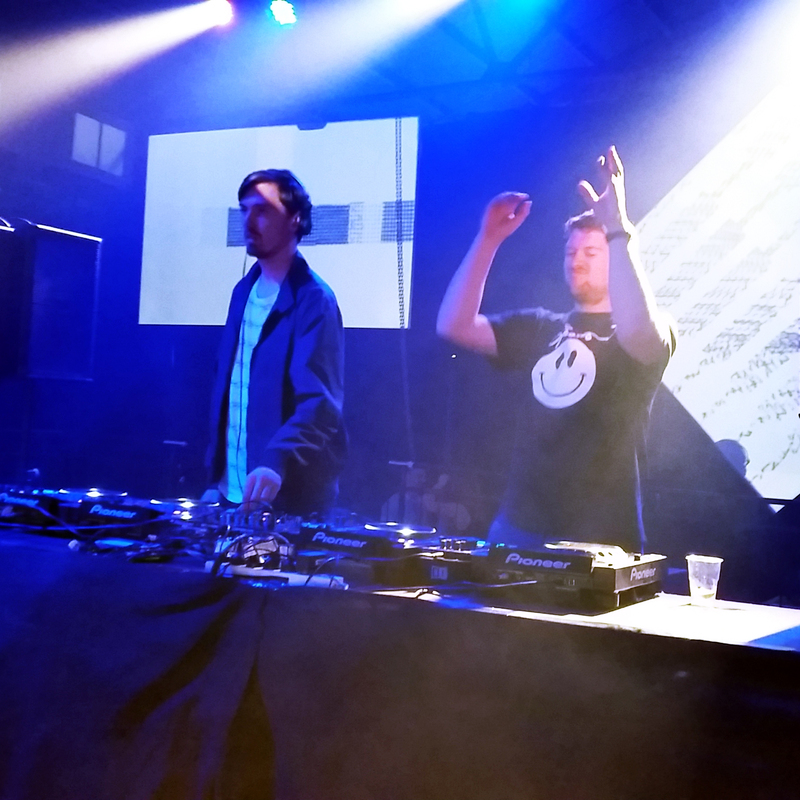 At around 11pm Ten Walls jumped on stage to make a 1 hour live set. This was my main reason for coming and Marijus Adomaitis did not disappoint, and of course he played his big hits “Requiem” and “Walking For Elephants” (check out video below). It was a really fun night! 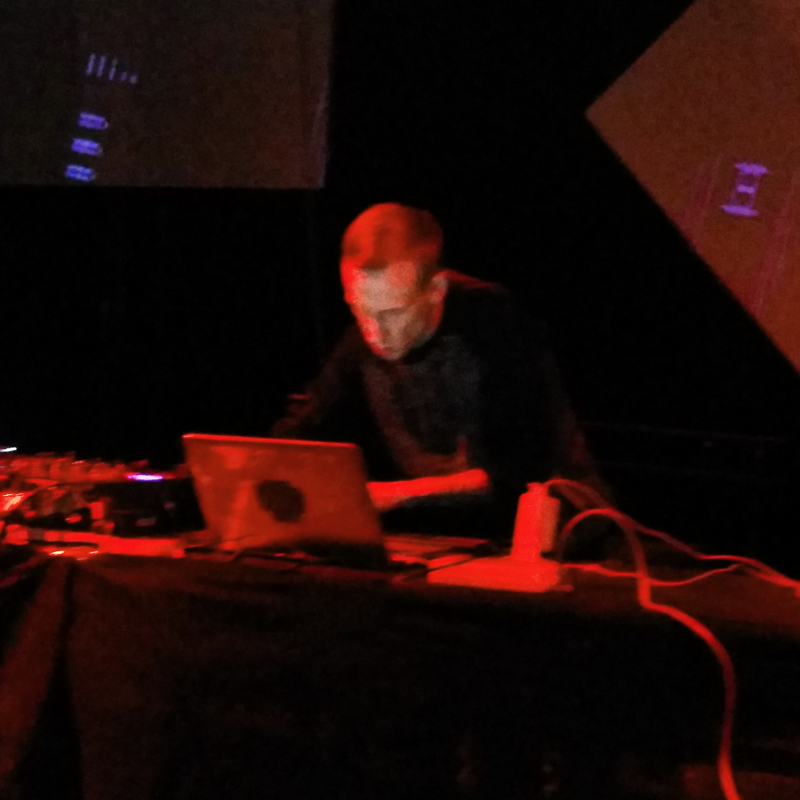 On the Tuesday the techno ensemble Underground Resistance performed on the same stage, supported by great local acts C:1, Matt Radovich and Chiara Kickdrum. UR is a techno collective from Detroit that performs live music with influences jazz and other genres. Their constallation of artists always changes but they keep the same concept, mixing different instruments in with electronic drum beats. Unfortunately the sound system couldn’t deliver the sound good enough for their kind of music and the saxophone got muddled up with the synth every now and then. They also seemed to have some technical issues during the night, which is sad when a big music performance like this comes up.